A resolution adopted on Wednesday sets out proposals to tackle air pollution from transport, agriculture and energy sectors. In a non-binding resolution adopted with 446 votes to 146 and 79 abstentions, MEPs underline that air pollution has a local, regional, national and cross-border dimension and requires action at all levels of governance. They urge the European Commission to propose introducing more stringent standards for PM2.5 particles in EU air quality rules, as recommended by the World Health Organisation (WHO). MEPs urge authorities to develop clean air action plans with measures to address all sources of air pollution and all sectors of the economy. The European Commission should update the Ambient Air Quality directive in line with the current WHO limits for particulate matter, sulphur oxide and ozone levels. 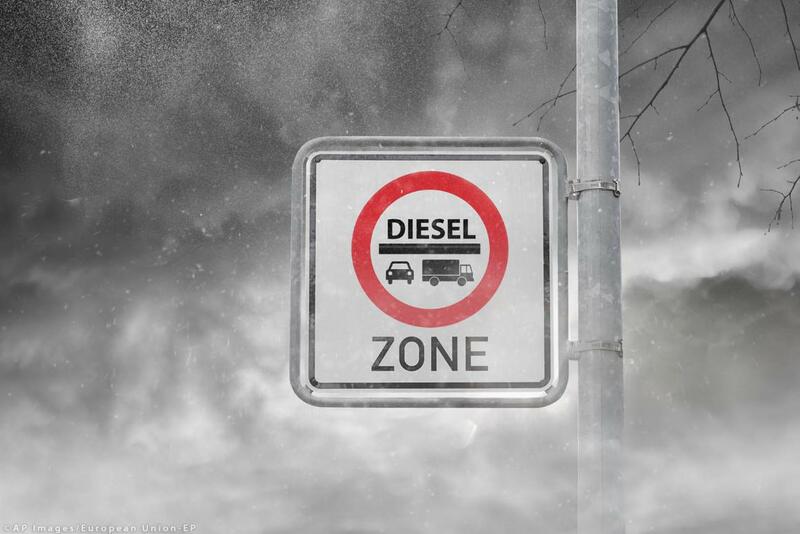 It should also step up checks to ensure member states comply with diesel car emissions test procedure standards under EU legislation on type approval of vehicles. MEPs are concerned by growing scientific evidence on the impact of traffic-related air pollution on cognitive development and performance, in particular on children. They encourage digital technologies such as e-tolling and e-ticketing to be used to implement the “polluter pays” principle through pricing based on the environmental performance of vehicles. MEPs also call on the EU to develop collective redress procedures to protect consumers in the event of any future car emissions scandal. Car manufacturers should retrofit non-compliant diesel vehicles with mandatory hardware to clean up the fleet and avoid diesel car bans. The costs should be borne by the car manufacturer, they say. They call on the Commission to continue reducing the EU car fleet’s NOx emissions and to help close the gap between car emission limits and the actual levels measured on the road by 2021. The Commission should also consider introducing standards to tackle vehicles’ non-exhaust emissions (e.g. from tyres and brake pads wearing off) and methane emissions from agriculture, which are important precursors to ground-level ozone . MEPs call for future funding through the Common Agricultural Policy (CAP) to be linked to mandatory measures to curb air pollution. The current food and farming systems are responsible for excessive ammonia (NH3), nitrous oxide (N2O) and methane (CH4) emissions, say MEPs. 94 % of ammonia emissions and 40 % of methane emissions come from agricultural activities. MEPs welcome the commitments made by at least ten EU member states to phase out coal as an energy source, and call on the other member states to do the same by 2030 at the latest. Poor air quality has an enormous impact on health, with pregnant women, children and the elderly being particularly exposed. Around 90% of Europeans living in cities are exposed to levels of air pollution deemed damaging to human health. MEPs recall that the EU’s legal emissions limits are still above those recommended by the WHO, and that the European Environment Agency (EEA) estimates that more than 400.000 premature deaths are due to air pollution in the EU every year. European Union for failing to comply with EU air quality standards. Twenty-nine infringement cases are currently underway in 20 member states for failure to comply with EU air quality limit values, and approximately two thirds of member states are currently in non-compliance with PM10 and NO2 limit values; one in five exceed the PM2.5 target value.